Adjusting prices according to supply and demand is basic economic theory, but now it’s happening faster than ever. Search for an airline ticket today and the cost might be different than what you saw yesterday. Ride-sharing services increase their fees when demand is high. And Amazon can change prices whenever it sees a competitor charging more. Dynamic pricing, or continually adjusting prices in response to real-time supply and demand, is becoming the dominant pricing strategy among online retailers. Along with the conveniences of online shopping, it’s what Amazon uses to gain the upper hand in many categories. In fact, consumers are likely to use the online retailer to compare prices as they decide where to make their next purchase. So how does the brick-and-mortar independent home improvement retailer compete when Amazon can undercut prices almost instantaneously? To find answers, Hardware Retailing turned to two experts in e-commerce with a wealth of knowledge about Amazon and its impact on retailing today. 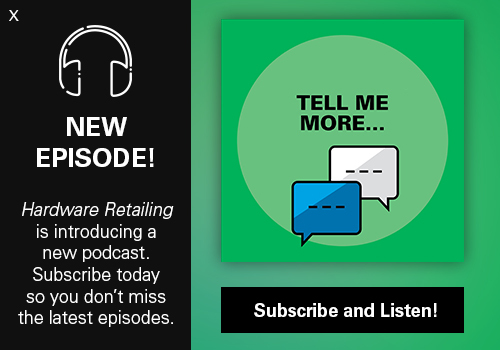 Their insights will help you understand the keys to Amazon’s retail strategy, including its dynamic pricing model, and how you can stay relevant in an age when Amazon is dominating retail. 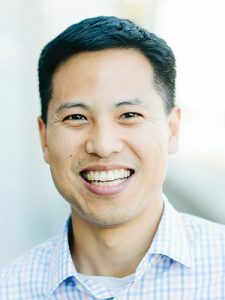 Gary Liu is the vice president of marketing at Boomerang Commerce. The company’s founder, Guru Hariharan, worked at Amazon from 2004 to 2009, where he led teams that built much of the technology Amazon and its sellers use for inventory and pricing decisions. He founded Boomerang Commerce in 2012 to help retailers and brand manufacturers, those not named Amazon, figure out the online e-commerce game. 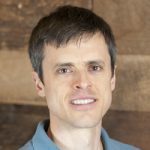 Hardware Retailing (HR): What is Amazon’s pricing strategy? Gary Liu (GL): Amazon is not a price setter, it’s a price follower. For example, Amazon uses technology and automation to figure out what is the market price on a hammer or cordless drill. Then, if those are heavily shopped items, Amazon will match the price of the competing retailer. 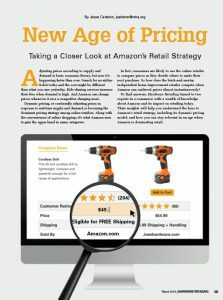 If Amazon is always matching or pricing slightly below the nearest competitor, and consumers see that over time, they’ll believe that Amazon is cheaper, which will in turn drive more traffic to the site. That strategy has allowed the company to build a loyal customer base. This is part of what Amazon believes it can do best: Offer the widest selection, at the best price, and deliver products to customers in the most convenient way. HR: Does Amazon always have the lowest price? 15 minutes throughout its wide catalog of products. If Amazon wants to win market share in a particular category, it might be more aggressive with pricing on frequently shopped items in that category. In other cases, it may not be as aggressive on less shopped items. It might be OK with being 10 percent higher on prices for those items. It just depends on which categories and specific products Amazon wants to optimize for sales (at a lower price) or margins (at a higher price). What is most important about Amazon is it is using automation to learn about each customer’s shopping experience on its site while monitoring prices on competitors’ sites. 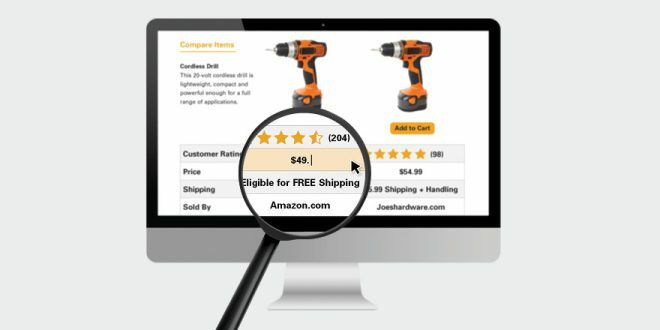 It tracks everything from the initial search on Amazon.com to the purchase. It can see how shoppers are searching for the products and what they finally buy. Amazon synthesizes all of that customer and competitor retailer data and updates prices accordingly. It’s also important to note that the 80/20 rule applies to them, just like it does with other retailers: 80 percent of Amazon’s sales come from 20 percent of their products. For the other 80 percent of products, Amazon may not be the cheapest, but people still assume they’re getting a good price. Amazon can make money from products priced less competitively. HR: How else does Amazon make money? GL: Amazon Prime memberships are a big source for revenue. It’s a lot like Costco, where most of their profits come from memberships rather than the products they sell. Amazon Advertising is also becoming a significant revenue source with good margins as brands invest in banner ads and sponsored product ads on Amazon.com (and beyond) to drive traffic to their products sold on Amazon. Amazon Web Services (cloud computing) is another profitable part of the business. Amazon is also very good at add-on sales. It will suggest products that relate to what you’re buying to drive higher basket sizes and transaction values. That tactic is basically just smart retailing. Amazon has also become a lot like Walmart in the way it can use its leverage with vendors to get a low price to increase its bottom line. Vendors used to go to Walmart’s headquarters in Bentonville, Arkansas, in a bid to get their products stocked in Walmart stores. Now, they’re going to Seattle to get their products stocked on the digital shelf, and Amazon is pressuring vendors to lower their costs if they want to be carried in the Amazon warehouse and be eligible to qualify for free two-day shipping. Amazon also benefits from third-party sellers on Amazon Marketplace. These sellers can sell practically whatever they want. Amazon doesn’t have to warehouse the inventory, but they still get a percentage of the sales. That broadens the selection for consumers on the site, increases traffic and drives significant revenue that adds to Amazon’s profit margin. HR: Do you see Amazon making advances on the home improvement market? GL: Amazon is making headway in the home improvement space, but it’s in the middle of the path in terms of maturity. We recently did a study that looked at online sales as a percentage of total sales in a particular category. We wanted to know what is the tipping point where brick-and-mortar stores started going out of business because more of the products in their category were being purchased online. Take the consumer electronics category for example. About 50 percent of consumer electronics purchases are made online. In our research, we discovered that the tipping point was between 20 and 30 percent. When that line was crossed, when 20 percent of total sales in a particular category are made online, brick-and-mortar stores such as Circuit City and RadioShack started going out of business. The same has shown to be true for other categories, such as sporting goods. When 20 percent or more of total purchases come from online sales, that’s a big issue. The numbers for home improvement (online sales as a percentage of total sales) are still in the teens. That’s a signal to owners of home improvement stores that they need to take action now to stay relevant. HR: How can brick-and-mortar retailers use technology to stay relevant against Amazon? GL: Partnership with a wholesaler that keeps you sharp on pricing is critical. Does your wholesaler have a way to help you price-shop competitors so you are better informed on the prices in your store? Maybe it’s in the form of a daily tearsheet or automated email that keeps you up to date on price changes on key items in your market. Use whatever tools you have at your disposal. It’s a bold move. 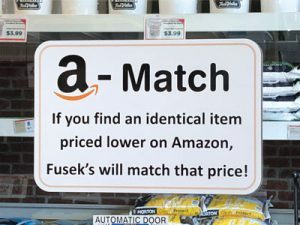 If Amazon has a better price than his, Steve Fusek, owner of Fusek’s True Value in Indianapolis offers to match it. Customers were skeptical at first, he says, but some have taken him up on it. On average, he only makes about 22 percent margin on products sold that are price-matched to Amazon, less than half of his typical margin. Even if he occasionally has to sell a product below cost, he sees that as a gain rather than a loss. “You can look at it as if I just gave away 22 points, or look it as if I gained 22 points,” he says. It’s a sale he would have otherwise lost to Amazon. Most of the time, customers price-match on higher dollar items, which carry a lower margin anyway. Closing the sale on a higher dollar item may result in catching the purchase of several smaller dollar, higher margins, too. Jason Goldberg has a front-row seat to the digital disruption of commerce. During his career, he started his own customer experience design firm where he worked with some large companies, including Walmart, Best Buy, Target and Bass Pro. 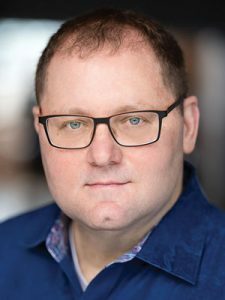 Currently, he’s a regular contributor to Forbes, hosts a popular e-commerce podcast, “The Jason & Scott Show,” and serves on the board of directors of shop.org, the digital retail arm of the National Retail Federation. Hardware Retailing (HR): What are some of the ways Amazon has disrupted the retail industry? Jason Goldberg (JG): Amazon disrupted a lot of categories in a variety of ways. Amazon started with the convenience of not having to leave home to get products. It started with the categories that were easiest to disrupt—books, then consumer electronics, then apparel. Increasingly, as Amazon comes to dominate those categories that were the low-hanging fruit, it’s moved all of its efforts and resources to increasingly complex and challenging categories. Home improvement is one of those complex categories, mainly because of the cost and size of the goods. Some items are big and super expensive to ship, such as lumber. But the first real disruption to the retail industry wasn’t really Amazon, it was the whole idea of e-commerce. Amazon just piled on that disruption with other factors. HR: What are some of the tactics Amazon uses to establish itself as a price leader? JG: It’s a triple whammy of assortment, aggressive dynamic pricing and the presence of the Amazon Marketplace alternative that makes Amazon a compelling shopping tool for consumers and makes it tough for retailers who want to compete. Amazon’s assortment has gotten enormous—more than 600 million products. So naturally, it becomes the first place most people go when they’re searching for something. If you go to a typical hardware store looking for a drill, for example, you’ll only see the drills the retailer has selected to carry. On Amazon, consumers feel they’re getting to see every drill that is available, anywhere. In fact, these days, instead of searching for a product on Google, consumers go to Amazon. Amazon has become the starting place for digital shopping trips. Amazon has also carefully cultivated a reputation, not necessarily as the lowest priced, but as a low-price seller. It watches a competitor’s price for a particular product, and when that competitor has a product in stock at a lower price, Amazon tends to lower its price to meet or beat that price. However, if Amazon notices that a competitor is out of stock on that item, it might charge more. If other retailers have stopped discounting a particular price, Amazon will stop discounting as well. To make those rapid price changes, Amazon uses a dynamic pricing algorithm, to the tune of 2.5 million price changes on its site every day. Additionally, for about half of the products Amazon sells, it buys from a wholesaler or vendor and sells directly from its warehouse. The rest are sold by Amazon’s Marketplace sellers. These are independent retailers selling their own goods on Amazon and paying a commission to Amazon. That means it’s easy to be shopping for a product on Amazon and see prices from several other retailers. 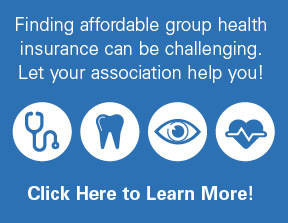 Being able to do comparative prices in one place gives people the assurance they can get the best price. HR: What role has the ability to gather ratings and reviews played in Amazon’s success? JG: Ratings and reviews on products are something Amazon had early on. But as Amazon became larger, it began attracting more customers and soon had more customers writing reviews than any other company. Consumers are addicted to using those reviews to make purchase decisions. Today, one of the main reasons a customer might go to Amazon as opposed to somewhere else is that they can get reviews from other consumers that lets them know they are buying a reputable product. HR: Would you talk about the strategy behind Amazon’s exclusive brands? JG: Amazon has put an increasing emphasis in the last two years on creating its own exclusive brands. An Amazon brand is nothing new. One of the first was the Kindle. Alexa has been one of the most successful. None of those products were that amazing when they were first offered, but Amazon continued to refine them and respond to what its customers wanted. Today, they are leading products in their categories. In fact, Amazon has invented more than 200 other brands. More than 90 brands alone are focused on apparel, and they are designed to look like a stand-alone brand so you might never even know it belonged to Amazon. Amazon Elements and AmazonBasics have a lot of electronics. Happy Belly is a food brand and Mama Bear is a children’s brand. Some of these are value brands with aggressive pricing. Some are high-end products designed to be competitive with brands of a similar value. I don’t know of an Amazon brand focused on the home improvement market, but you can bet that if Amazon sees an opportunity to build a brand there, then Amazon will do that and be very good at it. HR: Are there any benefits of joining the Amazon Marketplace? JG: I would never tell a retailer not to be on the Marketplace. However, you’re going to pay a commission to Amazon for each product you sell, somewhere around 11 to 15 percent. You don’t want customers that were going to buy something from your store to buy it on your Amazon Marketplace website instead. That’s losing margin. But what you might want to do is use the Marketplace to find the customers who would never find you. One of the safest strategies is to offer goods internationally. 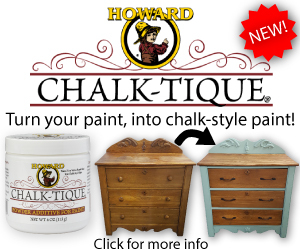 Look for a product that is unique or exclusive to you. I don’t recommend using the Marketplace as a way to acquire new customers because that’s very difficult to do. Amazon doesn’t share the contact information of customers with you. People who buy on Amazon are Amazon’s customers anyway, not yours. Those customers are choosing Amazon because of the amenities Amazon offers, many of which you can’t offer anyway. You likely won’t be able to beat Amazon at its own pricing game. Your best tactic for competing is to just be yourself and build on the strengths you already have. However, when it comes to price, there are some ways you can stay relevant to a generation of consumers who are increasingly shopping online. Shoppers often head to Google to search for a place to shop. “When they do a Google search, they might type in a magic word at the end: nearby,” says Jason Goldberg. Even if you don’t sell product online, at least list the products you carry so you can share that data with Google, which will help you show up in that search. “Guess who is never going to show up in that search? Amazon,” he says. Some customers are likely to stand in your store and compare your prices with Amazon. Don’t sweat it when customers want to be well-informed when they make a purchase. “You don’t want them to buy it from you and then go home and have buyer’s remorse when they look at the product online and find out they dramatically overpaid,” says Goldberg. “Or, that they got an older model from you and there’s a newer one available on Amazon.” To up the ante, you might want to price-match Amazon to show customers you are confident in your prices. Given that customers may be price shopping you online, you should be doing the same thing. It’s good to know if Amazon is significantly lower than you on frequently shopped items. However, remember that with home improvement products, your biggest competitors are probably still the big-box stores. Know what your prices are relative to others in your marketplace. If there’s an item where you just can’t compete, try offering an alternative. Proprietary brands or locally sourced items give you a point of differentiation. The personal touch that comes from being a trustworthy retailer with knowledgeable employees is something most independent retailers claim they own. Don’t take it for granted that customers feel the same way. Be tireless in monitoring the customer service levels in your store and relentless in giving employees the product knowledge they need. Humanize the shopping experience by putting staff photos and bios on your website, featuring them on social media and using them in your circular advertising. The knowledge of your staff is as much a part of your value proposition as your prices. If your business includes an online store, use it to enhance the in-store experience, not replace it. You still want to encourage customers to come to your store. Your website gives customers confidence that you have what they need, even if they’re not using it to order. “Use e-commerce less as a way to capture new customers that will never visit your store and more as a way to retain existing customers and get a higher share of their wallet,” says Goldberg. Customers working on a project don’t want to drive to your store only to find out you don’t have everything they need. Instead, if they see it online, they can have confidence you’ll have it and may give you their business instead of going somewhere else. Of course, for that to happen, you need to be sharp on your inventory control so your online store is accurate.